Meet Lydia! Lydia has been busy raising her kittens in the backyards of South Philly, and she is ready for some “me time” in your sunniest windowsill. She’s not much of a cuddler but loves to be petted and will let you know how happy she is by turning into a purr machine. 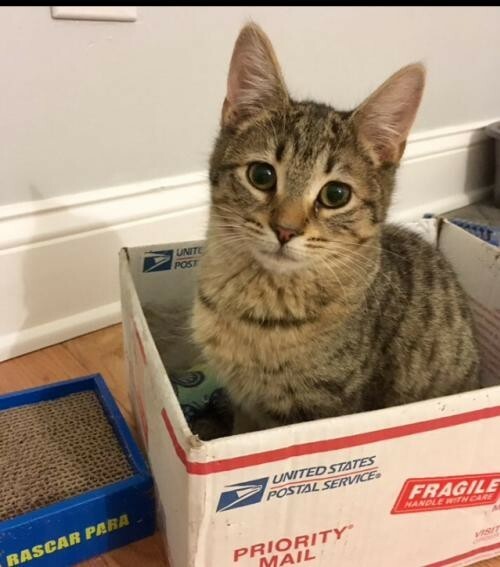 Doesn’t have much interest in other cats but has not shown aggression towards them If you want to meet this sweet cat, please submit an application on our website: application. All our cats are up-to-date on vaccines and ready to go home. And if you can't adopt but would like to help, fostering is always an option! You can also schedule a play date and meet some of our affectionate rescues by visiting Le Cat Cafe. Schedule a visit today!